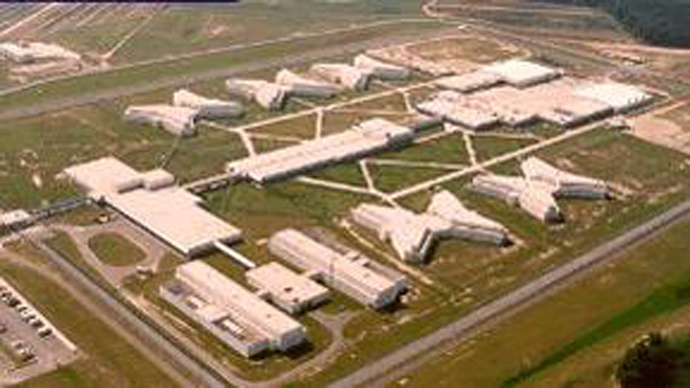 Law enforcement officials in South Carolina dealt with what was billed as a “security incident” or “disturbance” at the state’s largest maximum security prison, which was placed in lockdown according to local news outlets. The Missouri Department of Corrections said Thursday that the situation at the Lee Correctional Institution began when "multiple inmates" assaulted seven officers after one officer tried to conduct a search. All of the officers involved were treated and have now been released. Meanwhile, two prisoners were seen by the facility's medial staff and no not require further attention, the statement continued. Officials stressed that, contrary to some reports online, no officers were ever taken hostage by inmates. During the incident, multiple armed guards were spotted on the ground as well as on the facility’s roof, local WLTX reported. The state Department of Corrections confirmed that the prison was on lockdown as officials dealt with the situation, but declined to provide details for most of the day. Local reporter Savannah Levins, meanwhile, tweeted that more than 15 police vehicles sped onto prison grounds. At least two ambulances also arrived at the scene. Photographs from within the prison were reportedly been sent to WLTX, which shared the images on Twitter. The three photos show trash and broken material littered all over the floor with the lights out. A fourth image was originally published that was soon removed by WLTX, in which two inmates could be seen lying down, one on a bed frame and one curled up in a fetal position on the floor. The prison, which houses more than 1,000 inmates, has been home to security incidents in the past. Back in 2012, inmates held a corrections office hostage in a closet for hours before officials were able to free him. He was injured but able to walk out of the prison before being airlifted to a hospital. In 2003, two officers were also taken hostage, and one of the officers was stabbed in the arm with a homemade knife as a result. Lee Correctional recently underwent significant renovations as officials attempted to boost security. According to local NBC affiliate News 2, approximately $237,000 was spent to construct two new guard towers at the facility in order to keep prisoners from escaping and also to try and keep banned substances from making their way inside. A $2.2 million camera system has also been installed featuring technology that can detect an inmate’s body heat and keep an eye on them in the dark.